West Enders Brandon Bagg and Pascal Lamothe-Kipnes star in Brilliant Traces at PAL Studio Theatre. In Brilliant Traces, by Cindy Lou Johnson, a man slumbers under a heap of blankets in his remote Alaskan cabin as a blizzard rages outside. Suddenly, he is awakened by the desperate knocks of an unexpected visitor, a distraught young woman, who bursts into his cabin. Strung-out and exhausted, she throws herself on the man’s mercy, but after sleeping for two days straight, her vigour—and combativeness—return. Both characters, it turns out, have been wounded and embittered by life, and both are refugees from civilization. Thrown together in this snowbound cabin, they alternately repel and attract each other as they explore the pain of the past and confront the old griefs and bitter feelings that haunt their lives. First presented by New York's Circle Repertory Company in 1989, the Vancouver staging of this imaginative, absurdist allegory is produced by Kinetic Soul Productions. Married Vancouver pianists Scott Meeks and Clare Yuan are the Meeks Duo, at Roedde House on February 10. Celebrate Valentines Day this year with a romantic piano duo concert by the effervescent Meeks Duo. Scott Meek and Clare Yuan (piano) offer up “Four Hands, Two Hearts”, a delightful program featuring music by Liszt, Gershwin, Kapustin, Rodgers, Piazzolla, Gardel, and Stevie Wonder. Save the date for the next instalment of the Classical Series on Sunday, March 10th. And arrive early for tea and tour..
Christie Grace and her Quartet will be at Roedde House February 14. The second Thursday of each month you’ll find an afternoon of top-notch jazz in the parlour at Roedde House Museum, the elegant and historic (1893) West End former home of Vancouver’s first book-binder and his wife, Gustav and Matilda Roedde. February’s performance will be by the Christie Grace Quartet - tickets on sale soon! Diane Lines is at Jazz Vespers, at First Baptist Church, on February 17. Every Sunday / 4 to 5 p.m.
First Baptist (969 Burrard) from February 17 . Every Sunday afternoon the folks St. Andrew’s-Wesley United Church present the finest jazz musicians in the Lower Mainland in an afternoon performance where jazz meets, and dances, with the spirit. This month the congregation of St. Andrew’s-Wesley has embarked on an 18-month “pilgrimage” to adjacent facilities while the historic church is renovated (see story here), with Jazz Vespers moving to First Baptist, just across the street. This month’s lineup concludes on February 24 with Don Stewart, Mike Henry, and Krystle Do Santos with a celebration of Black History Month. Tuesdays (8 - 10 p.m.): Noriko Jazz with funk jazz fusion on the 5th; Latin jazz with the Caryn Slade Trio on the 12th; R&B with Asheida on the 19th; Acoustic jazz and swing with the Ingrid Stitt Trio on the 26th. Wednesdays (8 - 10 p.m.): Taylor James with your 70s favourites on the 6th; Indie classics with Cole Petrone on the 13th; neo-soul singer Marla Torgerson on the 20th; and roots and blues with Harris & DeBray on the 27th. Thursdays (8 - 10 p.m.): Classic harmonies with The Hot Mammas on the 7th; jazz and vintage pop with Angela Vergrugge on the 14th; swing, jazz, and R&B with The Blue Velvet Duo on the 21st; and folk rock and roots with the Rusty Creek Boys on the 28th. Sundays (7 - 9 p.m.): Bobby Bacchus “crooning da jazz” on the 3rd; jazz and blues with Yvonne McSkimming on the 10th; contemporary jazz with Allegro Duo on the 17th; and blues ballads with the Blue Mistral Quartet on the 24th. 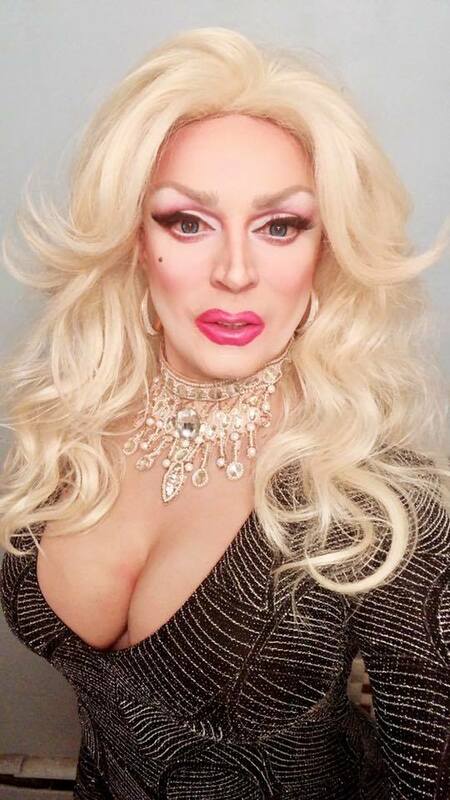 DRAG DIVA CARLOTTA GURL HEATS UP THE NIGHT WEDNESDAYS AND SATURDAYS IN DAVIE VILLAGE. Davie Street is the heart of Vancouver’s LGBT+ community. We recently lost two thriving night scene venues where a revolving cast of drag divas and improv artists entertained weekly, but it looks like most of them have landed on their stiletto-heeled feet, and the show continues! Much of the action has moved to The Junction (1138 Davie) where QueerProv, Canada’s leading queer improv comedy troupe, is already leaving ‘em laughing in the aisles on Wednesday evenings with two shows at 7:30 and 9:30 p.m. And as they’ll warn you, the show contains adult language, situations, and themes… “because it's awesome!” On Thursdays there’s a smorgasbord of young divas with Bratpack at 11 p.m., and on Saturdays Carlotta Gurl is back with Absolute Drag-U-Lous at 10:30 p.m. with a show filled with drag, live numbers, contests and much more — more than we can handle! And if all that madness runs a bit late for you, Jaylene Tyme, another Vancouver Legend in her own mind, brings you Legends Cabaret at 8 p.m. featuring herself and two guest performers. There’s lots more, and you can find out here. Meanwhile, up the street at Mary’s On Davie (1202 Davie) one of Vancouver’s longest-running charity fundraisers, Drag Bingo, continues raising money every Wednesday for the Vancouver Friend’s for Life Society with a 7 p.m. start time. Somehow, tireless as she is, Carlotta Gurl pulls it off with special guests and a bit of pixie dust. Stay tuned as the Village continues to find room for more LGBTQ community entertainment. Fridays & Saturdays at Rio Brazilian Steakhouse (1122 Denman). Samba Fusion is a Vancouver based Dance Company, whose roots are based in Brazilian Samba, fused with numerous dance styles, music and rhythms. This Multicultural Dance Group performs several styles of dance fusion including: Brazilian Samba, Forro, Samba Reggae, Afro- Brazilian, Hip Hop, African, Polynesian and Burlesque.